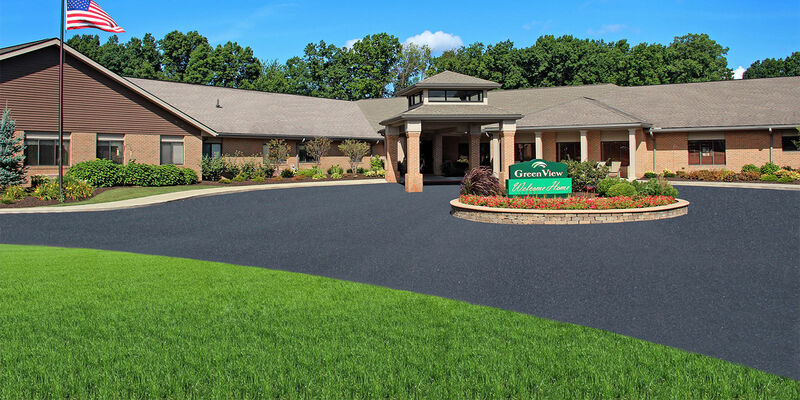 Blending the convenience of a location between Akron and Canton and the comfort of being surrounded by great shopping, cultural opportunities, and world-class healthcare, GreenView offers senior assisted living in a beautiful community among people who care. Learn More. 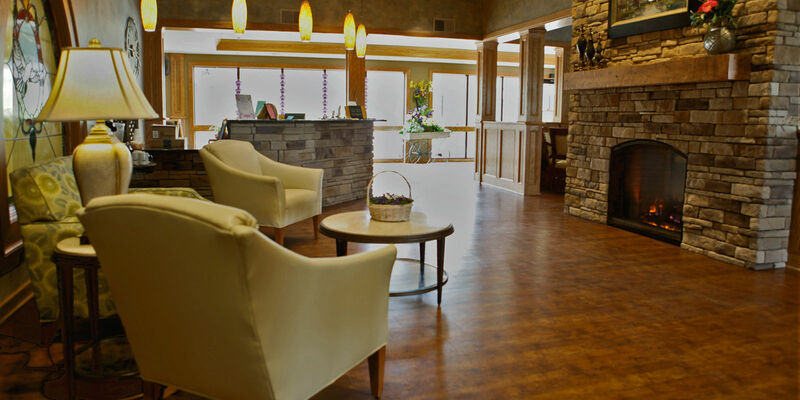 Ask about luxury living at Brier Creek Senior Living Community by calling us at 330-896-0400 or click here to learn more. 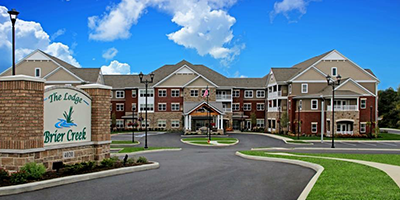 Discover how affordable GreenView living can be. Contact us to schedule a tour, for employment, or to volunteer in our community. Learn More. The Lodge at Brier Creek, luxury suite living, is an all-inclusive lifestyle designed specifically for active senior living. Brier Creek offers scenic surroundings while being close to local attractions and entertainment. Brier Creek Living provides the freedom from home upkeep and maintenance so that you can live life your way. Our suites offer a unique range of sizes, designs, features, services and amenities. Take a moment to look at the features and options offered, and picture yourself living life the right way, the “The Brier Creek Way”. 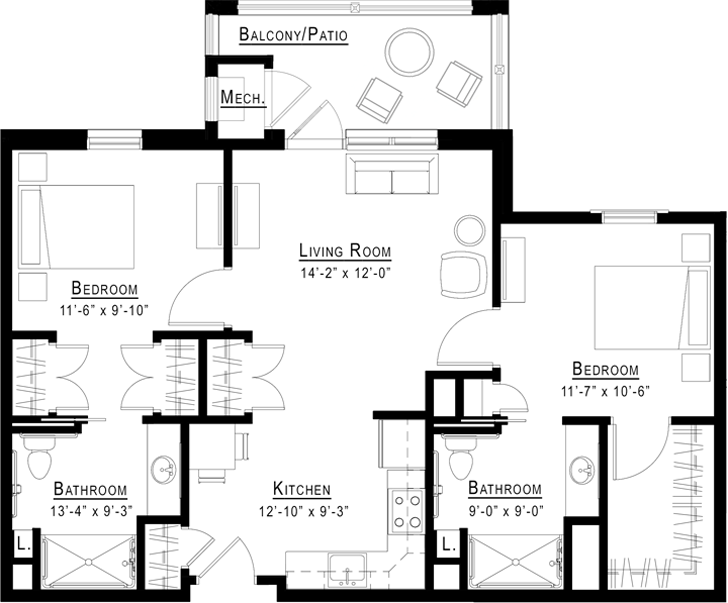 The Lodge at Brier Creek suites include studio, one bedroom and two bedroom floor plans. 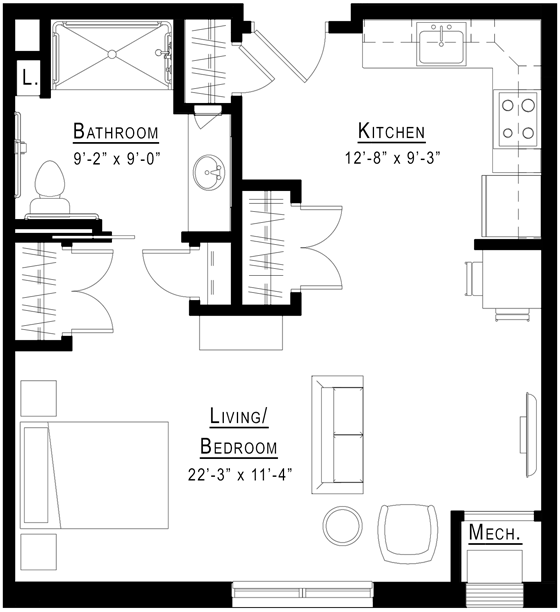 Brier Creek suites also offer either one or two bathrooms; living/dining room and extra secure storage. The Lodge at Brier Creek offers many more lifestyle entertainment options, amenities and perks. Let your Brier Creek professional provide you all of the information regarding Brier Creek living. *Most Brier Creek apartments have patios or balconies. 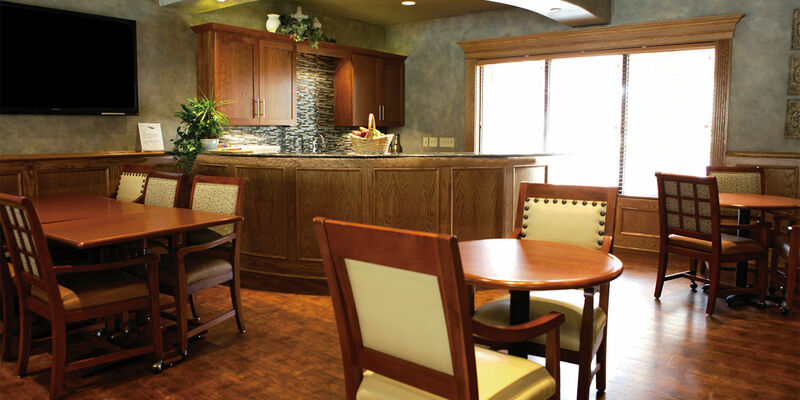 Fine Dining…Your daily living fee includes dinner in the Brier Creek dining room every day! Our chef’s unique and fresh cuisine compliments Brier Creek’s beautiful dining atmosphere. Thanks to our careful planning and tempting seasonal specialties, you will never want to eat anywhere else. The Brier Creek dining experience is second to none! Breakfast and Lunch…If you would like to enjoy a prepared breakfast or lunch in our dining room, additional meal plans are available for purchase as you dine. Grab-and-Go Internet Café...Brier Creek offers fresh and convenient grab-and-go items and beverages that can be purchased in our Internet Café. This is a great place to enjoy casual conversation with your neighbors. Brier Creek Lodge Pub...Our social pub is a great place to unwind and enjoy the evening while tasting local brews and wines. Culinary classes and wine and beer tasting...We have an exciting lineup of cooking classes taught by our talented executive chef and culinary specialists. Each class includes a cooking demonstration, samples of featured dishes and recipes to take home. Local experts provide wine, bourbon and beer tasting classes. Disclaimer: All room sizes shown are approximate and subject to change without notification. 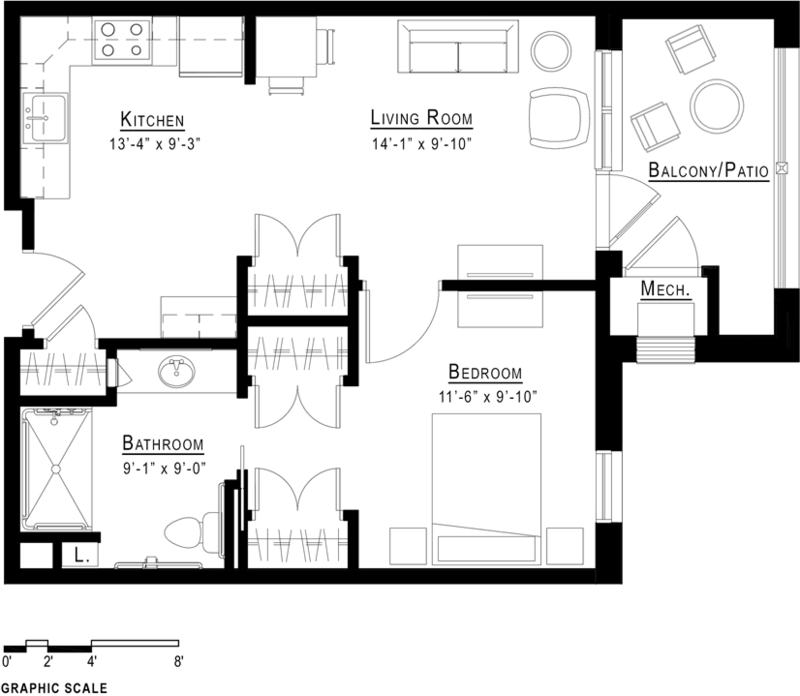 Furniture layouts are shown for illustrative purposes only. * This is not an all-inclusive list. 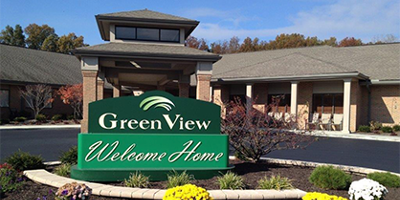 Other items that you are paying for separately may be included at GreenView. Be sure to inquire when speaking to a GreenView sales professional. 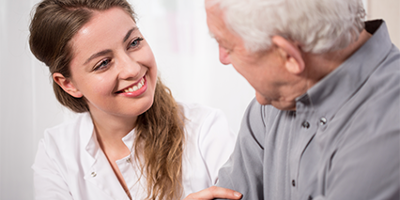 Care charges are for residents who have Assisted Living in-suite services, not for those residents considered to be Independent. Our GreenView sales professional will be able to provide a good estimate of what this will be when you speak with one of them.